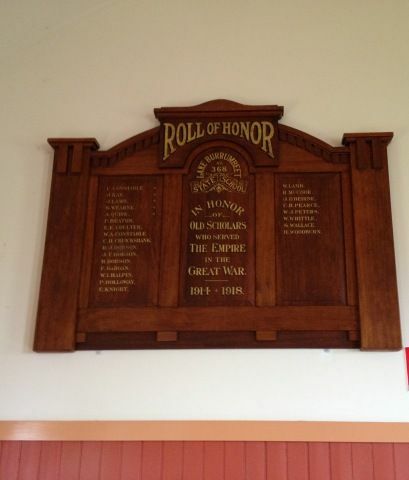 An honour roll commemorates former pupils of the school who served in World War One. State School Honor Roll. Relatives and friends of old scholars of the Lake Burrumbeet State school are asked to forward names and dates of enlistment of former students now on active service to the head teacher, Burrumbeet. Ballarat Star (Vic), 13 July 1918.